African Music Legend Oliver 'Tuku' Mtukudzi Dead At 66 Mtukudzi, better known as 'Tuku' and who began his artistic career in the '70s, would go on to release dozens of records and become one of the most celebrated musicians in Zimbabwean history. Oliver "Tuku" Mtukudzi during an interview conducted in Jan. 2018. A portrait of his son — Sam Mtukudzi, who died in a 2010 car crash — can be seen over his shoulder. Born on Sept. 22, 1952 in Zimbabwe's populous Highfield suburb, Oliver Mtukudzi, known as "Tuku" to his legion of fans, died Wednesday at a clinic in Harare from complications related to diabetes. The news was confirmed by Walter Wanyanya, the late superstar's spokesperson. Mtukudzi was 66. Mtukudzi began his music career in 1977, singing alongside another Zimbabwean superstar, Thomas Mapfumo, in the band Wagon Wheels. In a tweet on the news of Mtukudzi's death, Mapfumo writes that "a dark cloud hovers above Zimbabwe." Zimbabwe's current president memorialized Mtukudzi as well, writing that his country "said goodbye to a true patriot" and that Mtukudzi's voice "gave us comfort during difficult times." But Mtukudzi's patriotism was not always considered a given. Mtukudzi came to prominence at a time — the late '70s — when black Zimbabweans were waging an armed resistance against white minority rule. After Zimbabwe attained its independence from Britain in 1980, Mtukudzi and his peers penned many songs — his own "Zimbabwe" among them — celebrating the country's independence. Mtukudzi's first album, Africa — credited to Oliver and The Black Spirits — was released shortly after Zimbabwe's independence, yielded two hits in the country: "Madzongonyedze" and "Zimbabwe." "I did praise songs just like most of the artists during that era because it was justifiably celebration time," Mtukudzi said in 2009 of his work at the time. 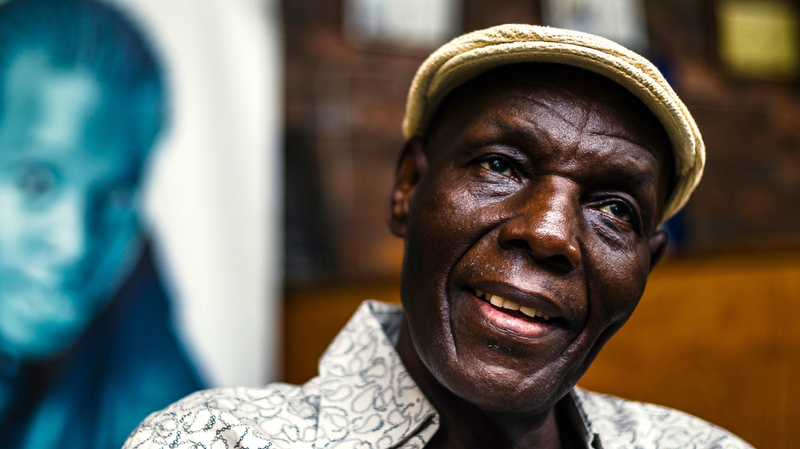 Apart from being a singer and guitarist, "Tuku" — who breathed his last breath one year to the day after his friend and fellow continental great Hugh Masekela of South Africa — was also an actor, having featured in the films Jit (1990), Neria (1993) and Zimbabwe Respect for Africa (1994). The icon was also the recipient of several awards both locally and internationally, including the Order of Merit of the Italian Republic and serving as a UNICEF goodwill ambassador. (Mtukudzi donated a song, "Deaf Hear," to UNICEF's Day of the African Child commemorations in 2010.) Mtukudzi also nurtured several music talents in Zimbabwe at his Pakare Paye Arts Academy in Harare's dormitory town of Norton and collaborated with many nascent artists. As if he knew he was dying, Mtukudzi released his most recent album — titled Hany'Ga (Concern) — in 2018. In it, he called upon the Zimbabwean people to address the rot that had caused untold suffering to the country's citizenry.